My mother was fortunate to have stayed at Bella for the last segment of her life. My wife and I did extensive research including visits with several care homes before settling on Bella. Len and Phillip run a top notch home at fair prices. It is very clean and always is fresh smelling. Len and Phillip are very caring individuals and it shows in the final product. My mother was well taken care of and everything was as advertised. Mom didn’t have a rosy disposition during this period and Bella worked with her to insure she was as comfortable as possible under the circumstances. They facilitated outside caregivers that were needed at times. There is a family atmosphere fostered by Bella and is unmatched in our experience. My mother had stayed at another care home a couple years before her stay at Bella with stays at her own home and the hospital in between. We would give that previous home a fair rating but was far inferior to Bella. We became very familiar with the ins and outs of care homes and Bella is tops. I recommend them very highly and have a high regard and respect for the professionalism and caring attitude of Phillip and Len. I wouldn’t hesitate for a minute having another loved one stay at Bella should they be in need of that type of living arrangement. When mom broke her hip at 87 years of age we decided to try one of the larger senior care facilities that looked great from the outside. However, it didn’t take long to realize that mom was not being given the care that we wanted and that she deserved. Staff habitually made excuses about just starting their shift ang constantly blamed other co-workers from mom’s poor care. 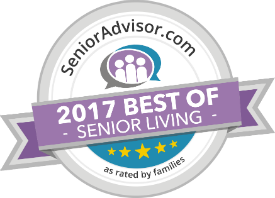 Our mom deserved the very best care and we asked around and were told that Bella Care Home LLC was an excellent senior care facility. From the minute my mom arrived at Bella Care Home LLC, my brother and I knew we had made the right choice. The owners are nurses. They and their support staff are incredibly caring and extremely detailed with their residents. They treated mom like she was their own mother and how I hope to be treated as I age. Staff consistently communicated with us about every detail pertaining to mom’s health. Family members felt welcomed and all staff are compassionate and kind. If your parent deserves the very best care like our mother, Bella Care is the place to be. They are the only care home that I recommend. 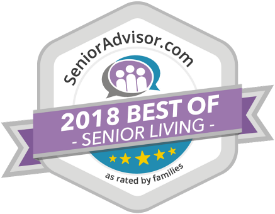 Bella Care Home LLC was recommended to us by a friend of our daughter. It has been an answer to prayer. It is very clean and the staff is very caring. The other types of assisted living cannot meet the needs for a quality of life we require. Mom has one on one care, fellowship with other residents, and activities. It is nice to see her smile. We are able to stop by anytime unannounced. Very home-like. The staff makes you feel at home and treats everyone with dignity. Our mom calls it home and not a “facility.” She loves visits from the grandkids who in turn love the goodies the staff gives them. Bella Care Home LLC is a wonderful, professionally-run home. Living 4 hours away from Mom has made it so much easier knowing she is in the loving care of Bella Care Home. Mom calls this her other home. She is very happy and well cared for and feels like a part of a family, not a patient in a facility. I look forward to visiting her there and catching up on how Mom’s new friends are doing. Bella Care Home LLC has been a real asset for our family. Since our 94-year-old Mom fell and broke her hip last year, she has needed 24-hour care. The care that Bella Care Home LLC has given her has been incredible and Mom could not be happier. The caregivers and owners provide much in the way of attentiveness, activities, and loving care. We are so thankful for the care they give to our Mother. We are so happy we found Bella Care Home LLC for our mother. The staff is caring, and the food is great. They make her feel loved and special, it’s a wonderful place to live.